The Senate on Thursday rejected the Kaduna State credit facility of $350 million which is part of President Muhammadu Buhari’s 2016-2018 External Borrowing Plan. 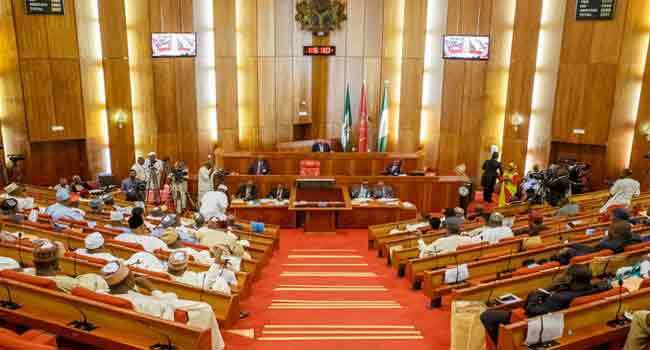 The Senate rejected the loan request because the new borrowing sought, would make the debt service to revenue ratio high, thereby worsening the state government’s ability to meet its other basic obligations to the people of the state. The lawmakers took the stand after deliberating on the report from its committee on Local and Foreign Loans which recommended that the Senate should reject the requested credit facility. The committee noted that with the high total debt stock of Kaduna State at the moment, the new debt stock would likely further erode the economic viability of the state.